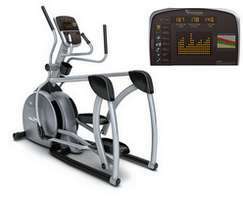 The X40 elliptical trainer combines high-quality components and the most natural feel available to deliver an exceptional workout experience. The closeness of the footpads mimics a natural running or walking gait. A flatter ellipse motion and long, 20-inch stride length also produce a more comfortable stride. Our Classic console features a large LED display for easy viewing, as well as five preset programs to help get you started on your workouts right away. The X40 is also compatible with the Passport media player (sold separately). Get maximum stability and durability in the X40. The welded-steel frame is sturdy yet stylish, while ideally spaced pedals, a long stride and multiple handgrips enhance comfort for users of all sizes. Pair the X40 with the all-new Elegant+ touchscreen console for innovative features like our exclusive ViaFit system that automatically tracks your exercise data and shares it with your favorite fitness apps and social networks. The science-based Sprint 8 High Intensity Interval Training program gets you fit in just three 20-minute workouts per week. The XF40 features a highly durable, welded-steel frame design with patented folding pedal arms that allow compact storage. The overlapping pedal motion and long stride give the XF40 its superior motion, while premium, oversized footpads and multiple handgrip options provide a comfortable fit for multiple users. Our Classic console features a large LED display for easy viewing, as well as five preset programs to help get you started on your workouts right away. The XF40 is also compatible with the Passport media player, which is sold separately. Get comfort and convenience with the XF40, with a folding, welded-steel frame. Ideally spaced pedals and the long, natural stride give the XF40 its superior motion while multiple handgrips provide a comfortable fit for a variety of users. 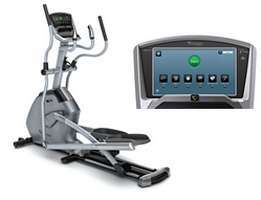 Select the all-new Elegant+ touchscreen console for innovative features like our exclusive ViaFit system that tracks your exercise data and shares it with your favorite fitness apps and social networks. The science-based Sprint 8 High Intensity Interval Training program gets you fit in just three 20-minute workouts per week. 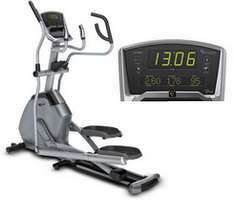 Get maximum stability and durability in the XF40, our fully featured, folding elliptical. The welded-steel frame is both sturdy and stylish, while ideally spaced pedals, a long, natural stride and multiple handgrips help users of all sizes work out comfortably. When you add the top-of-the-line Touch+ console, you get a large, high-definition touchscreen display as well as the best in entertainment and programming. You'll appreciate ViaFit, which automatically tracks your workouts and shares them with your favorite fitness apps and social networks. 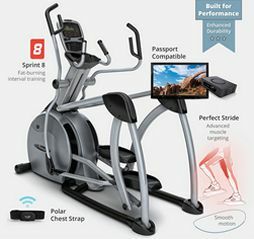 Our most popular space-saving Suspension Elliptical trainer now offers Passport compatibility, allowing you to walk, run, or climb through scenic destinations around the world. The unique suspension design with Perfect Stride technology provides an exceptionally smooth feel, utmost comfort and unmatched accessibility. The S7100's smaller footprint makes it the perfect addition to your home. Passport sold separately. 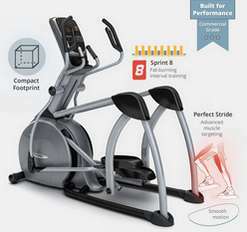 The S70 Suspension Elliptical trainer offers our exclusive Perfect Stride technology to the commercial market for years of user comfort. 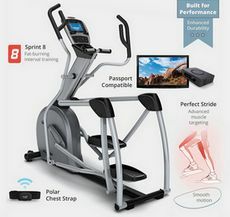 Combining an ideal stride motion, ergonomically correct foot positioning, and optimal incline and stride length adjustments, PerfectStride allows users to change the emphasis on the muscles being targeted during their workout. The unique suspension design provides an exceptionally smooth feel, utmost comfort and unmatched accessibility. 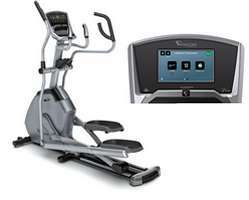 Arizona Extreme Fitness will deliver and setup your favorite quality Vision Fitness Elliptical Trainer for home or commercial use in Prescott, Flagstaff, Sedona and Phoenix, Arizona at your location. Come on in and browse our 3000 sq ft warehouse showroom in Prescott Valley, Arizona and try before you buy or if you already know what you want just call us for our best price and we will deliver or ship it to you depending on your location in the USA. 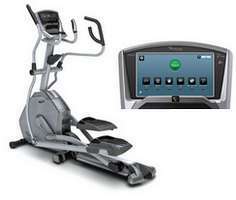 We sell, deliver, setup, install and service the above Vision Fitness Elliptical Trainers and more.